Time for a personal + blog related update. Bring a cup of your favorite brew, sit back, relax and read on. 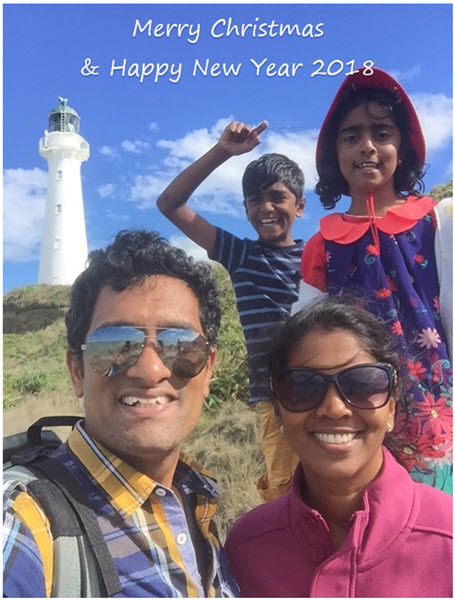 Read about our 2 years in New Zealand, Excel School v2.0 and revised blogging schedule. Catch glimpses of our live in NZ too. Today is a school holiday for kids. So we (Jo & I) are taking them to zoo for a day of walking, picnic and family time. Before I rush, I want to share two quick announcements with you. Thanks for everyone who participated in our recent KPI data visualization contest. Each and everyone who made the final list is a winner in my book. You have creativity, passion and a sense of sharing. I am excited to announce Awesome August. 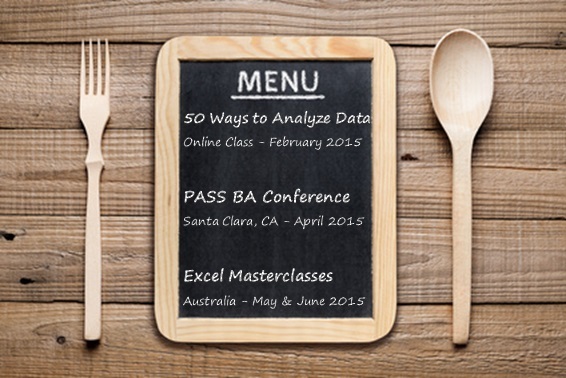 It is a month-long effort to make you awesome in various aspects of Excel. Awesome August… What is it? For each and every day of August 2015, I am going to publish a new piece of content – an Excel tip, a formula technique, a charting solution or a productivity booster. 31 days – 31 pieces of awesome content. 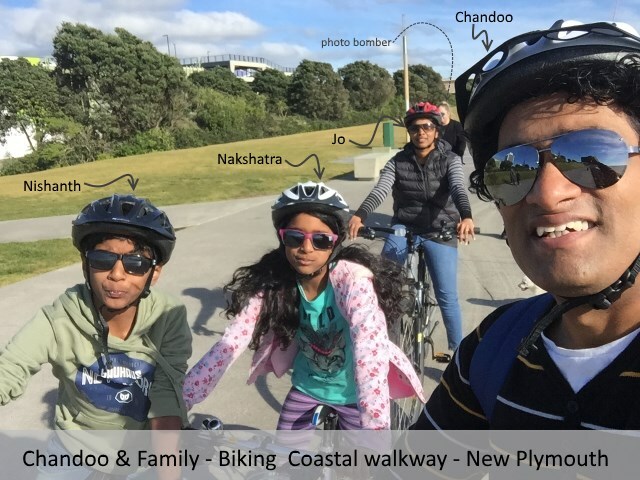 Sign-up to Chandoo.org newsletter. Get weekly emails with links to all the Awesome August content. Comment & Win: Comment on any of the Awesome August posts. 31 random commenters will each get $31 Amazon gift-card. Yay, bring out the birthday hats, candles, cake & confetti. Chandoo.org podcast is 1 year old. In this one year, we had 31 sessions, 4 guest appearances, 390,000 downloads & lots of 5 star reviews. Thank you so much for making it a grand success so far. To celebrate the occasion, I want to reward 3 lucky listeners of our podcast. Simple. Figure out what your favorite Excel tip is. Please say your name at the end of recording. Once I collect all the tips, I will feature some of them in next episode of Chandoo.org podcast. 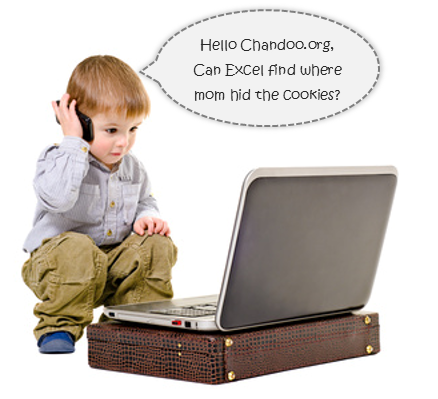 Friends and readers of Chandoo.org, my newest download, Excel Dashboard Templates are available for your consideration. Click here if you are ready to get them. Read on to know more. 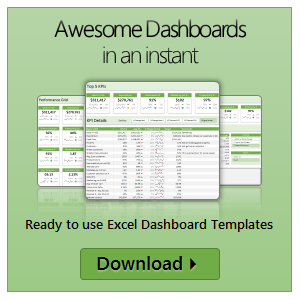 What are Excel Dashboard Templates? 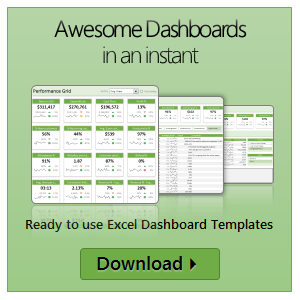 As the name suggests, these are ready to use Excel templates for creating awesome, informative, easy to understand & quick dashboards with your data. You just enter your data, set up few calculation options, decide how your dashboard should look & bingo, a beautiful & insightful dashboard will be created for you. These dashboards are optimized to look great, convey key information & prompt correct action. Who should buy these templates? Analysts, managers, reporting professionals, business owners & executives. These templates are designed to help anyone preparing Excel based dashboards, scorecards or KPI reports. Design awesome dashboards in minutes, not months: Don’t waste hours trying to figure out formulas, chart settings and layouts. Instead focus on what your users want, how your business works and use those insights to tell the ‘Excel Dashboard Template’ what you want. Save time and look awesome. Accommodate change elegantly: People change. Businesses change. What your boss wanted last month is no longer what she wants today. So when someone asks you, “hmm, can you show me YTD data instead of last 13 months”, or “Can I see top 10 KPIs instead of all”, you just smile and tap a few clicks and bingo, the new dashboard will be ready. These templates are designed to handle change (data, requirements, design preferences and insights). Beautiful & Informative: These templates are designed with a delicate balance of beauty & insight. Everything is seamlessly designed, perfectly aligned and precisely calculated so that you & your boss can focus on the insights & decisions. Time tested and well honored visualization principles & guidelines are observed thru-out the reports. Built for starters, built for pros: Whether you are just starting with Excel or a seasoned pro, you can find the templates right up your alley. For advanced users, we have many customizations to whet your appetite. Want to build a custom calculation or include another type of sorting, you can do it by tinkering with ‘calculations’ sheet. I am swimming thru heaps of email & backlog work. Thanks to everyone who emailed me with kind thoughts, prayers and love. I can’t tell you how thankful I am for having you in my life. 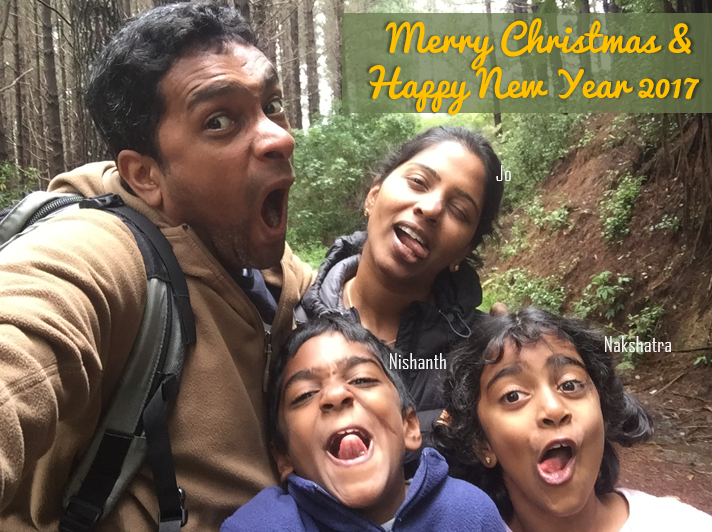 I am really glad to be back online, sharing my stories, knowledge & tips with you all. As it has been a while, I want to share a few quick announcements first. Time for another round of open-mic weekend. 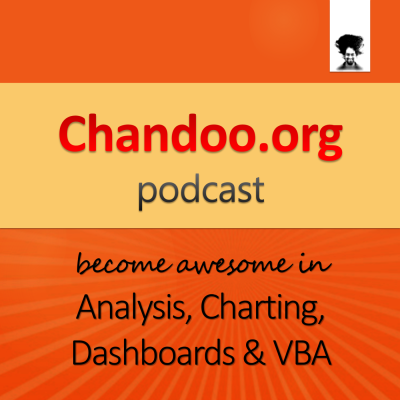 As you know, Chandoo.org has been running a podcast show for last few months. We have completed 14 episodes as of today. For the 15th episode, lets have an “Ask Chandoo” as the theme. I will listen (or read) your questions and choose a handful for the session 15 of our podcast. If your question is picked up for the podcast, you will receive the 25 Excel tips e-book.